1. 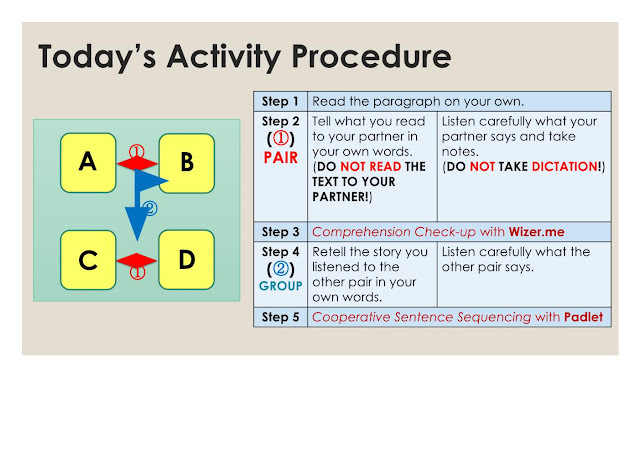 Each student reads the given paragraph individually. - Students tell what they read to their partners in their own words. - Students listen carefully what their partners say and take notes. 3. 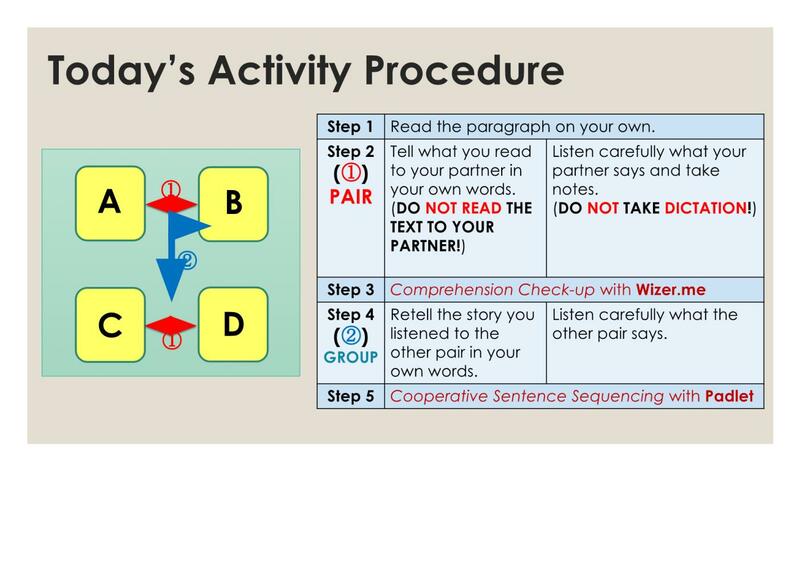 Students access to Wizer.me( http://wizer.me ) with given student codes, type in their names and solve the assigned questions about their partners' paragraphs. 4. After students hand in their answers online, teacher can check the students' results. - Students retell the stories they listened to the other pairs in their groups. - Students listen carefully what the other pairs say. 3. Students reorder the sentences according to the stories they listened in their groups. 4. The team that finishes first would be the winner.